As the United States Environmental Protection Agency continues its battle with the state of California over fuel efficiency requirements for new vehicles, a new area of conflict has opened: the state of Colorado. California is the only state that has a waiver under the federal Clean Air Act to impose its own vehicle fuel standards. States without waivers can approve a separate standard as long as it’s identical to California’s. In June 2018, Colorado Governor John Hickenlooper issued an executive order mandating the state adopt more stringent fuel efficiency standards, similar to those required by the State of California, by 2025. In January 2019, newly sworn-in Colorado Governor Jared Polis added to those efforts, by issuing another executive order to develop the infrastructure, including charging stations, to support more electric vehicles and to make more of the state fleet electric. 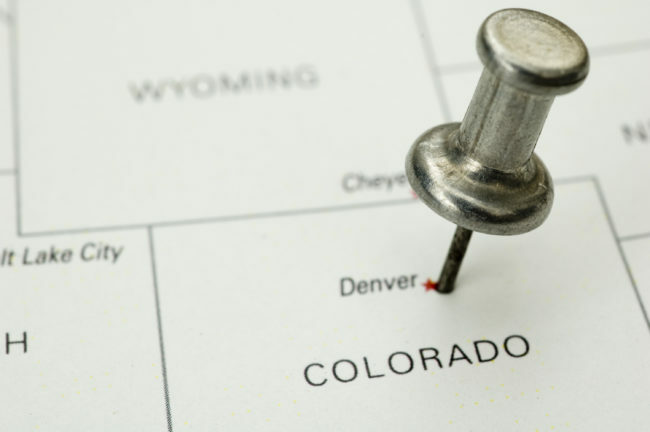 In a complaint filed in federal court in Denver, the Colorado Automobile Dealers Association alleges that those efforts should not be allowed to move forward. The lawsuit by the car dealers association names the Colorado Department of Public Health and Environment, the Colorado Air Quality Control Commission, and the Colorado Air Pollution Control Division as defendants. The lawsuit alleges that to carry out the executive order on the fuel efficiency standard, the Colorado Air Quality Control Commission rushed through the required legal process, ignored timelines required by state law, and did not provide the public enough time to review and comment on the economic analyses. The new Colorado rule requires automakers to boost fuel efficiency to 54.5 miles per gallon. The rule will start affecting new lightweight and medium-duty vehicles in 2022. “Rather than trust the citizens of our state to choose the vehicles they need and want to drive safely in Colorado’s unique conditions, the Commission has concluded that California’s regulators, not Coloradans, should decide what vehicles must be bought and sold in our state,” the Colorado Automobile Dealers Association said in a written statement. This lawsuit represents a potential new tactic for businesses in regulated industries caught in the widening gap between state and federal environmental regulation. As the last two years have shown an increasing push by individual states’ environmental regulatory bodies to quarrel with the EPA and create divergent standards, this lawsuit represents an area of opportunity for those regulated businesses to participate in the determination of the regulations that will apply to them and attempt to seek a more unified body of regulation. Those efforts will hopefully result in some additional clarity on the environmental regulations that will be applied to those companies in the future.